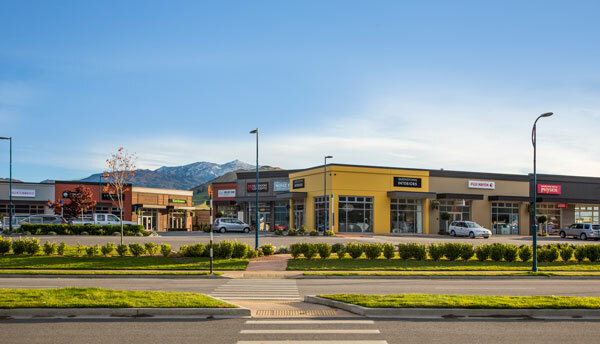 Queenstown's Boutique Shopping Centre with 19 Brand New Shops! 19 boutique shops – providing a complementary mix of cafes, gifts, womens fashion, beauty, interiors & homewares, heating & outdoor living, kitchen appliances, travel, fitness & supplements, office equipment & supplies, liquor, butchery and grocery. Snap Fitness is a new world class facility with a team of fully qualifed personal trainers and group fitness instructors to keep you motivated and have you achieving your latest health and fitness goals. Specialised Training, Weightloss and Fitness Challenges as well as Outdoor Bootcamps are also on offer. Armoury is a designer fashion store, stocking the latest fashions for women. Home to top New Zealand labels such as Verge, David Pond, Ricochet, Random, Loobie’s Story and many more. Zambrero sells healthy Mexican food to support humanitarian projects in Africa, Asia and the Americas. All your beauty needs under one roof, providing local ladies with a range of nail, waxing, lash, brow & makeup treatments along with a large selection of makeup, skincare & beauty accessories for sale. Stocking brands such as XOBeauty, LA Girl, NYX Cosmetics, Tailor Skincare & more. MySupps stocks Protein Powders, Muscle Builders, Weight Loss Products, Pre-workout Supplements and Vitamins. The friendly team offers great advice. Fuji Xerox delivers market leading document services and print solutions for businesses of all sizes. Girl Next Door is a new Women's fashion boutique in Queenstown at The Landing, Frankton, with some of NZ and Australians most popular fashion labels. Redcurrent offers home and lifestyle accessories that make everyday life beautiful. The store provides a wide range of Redcurrent product as well as high quality brands including Glasshouse Fragrances, Ecoya, MOR Modern Apothecary, Citta Design, Saben & Nature Baby. Contemporary Jewellery Boutique by Goldfields Jewellers. Featuring a full jewellery workshop and offering a modern take on classic designs along with contemporary wearable modern art. Also offering valuations, repairs and full servicing.